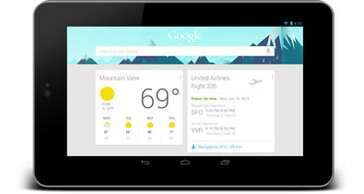 Just unveiled by Google comes their 7-inch Nexus 7 tablet, made by ASUS, starting at just $199.00. 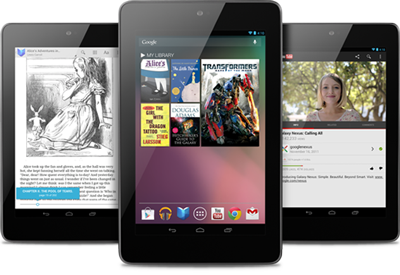 If you're a fan of the pure Android experience, you'll be interested in Google's Nexus 7 tablet, made by ASUS. You can visit its Google Play page (8GB | 16GB), its official website, or continue reading on for a quick rundown of what it has to offer. Its list of specs is pretty standard when compared to other tablets that are currently available. It has a quad-core NVIDIA Tegra 3 processor (clocked at 1.3GHz) with a 16-core GPU, a 7-inch 1280x800 display with Gorilla Glass, a 1.2 megapixel front-facing camera, 1GB of RAM, and a 4325 mAh battery. In terms of connectivity, it has 802.11 b/g/n Wi-Fi, Bluetooth, NFC support, and micro USB support. Oddly enough, there is no rear-facing camera. Pricing is about on-par with other 7-inch Android tablets. 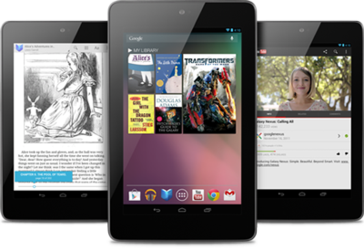 The 8GB version of the Nexus 7 is $199.00, which includes $25 worth of credit for the Google Play store. The 16GB version is just $50 more at $249.00, and also includes $25 of Google Play credit. You can order a Nexus 7 today, but it'll ship in about 2 to 3 weeks. Currently, it's only available to those in the United States, Canada, the UK, and Australia. There's already a few accessories for the Nexus 7, including a dark grey cover ($19.99), and an additional charger ($24.99).